This is a great feature. Comes in handy when you need to convert your site from webform to MVC, it allows the editor to reuse the blocks, just by adding partial views (MVC renderers). 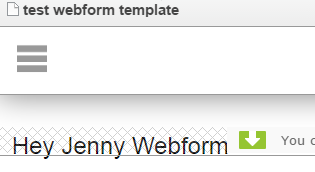 Johan Björnfot: You cannot mix Mvc and webform templates on the same request. 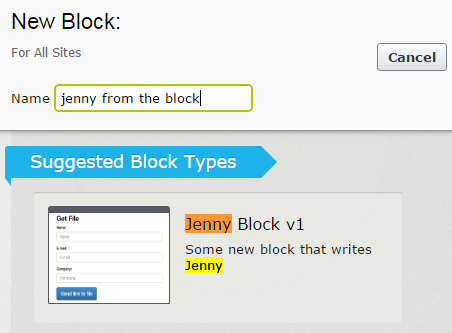 For example a page rendered through a MVC controller/View cannot render a block that only has a UserControl template. So to be able to use a block both on a webform page and a MVC page you need to have both MVC and WebForms renderers for the block (the same goes for partial renderers for pages). EpiServer have made it easy for you to have different renderers, the TemplateResolver scans on init where your Block Model is used and depending of Context (webforms or MVC) it displays the right template. Yey! We need then one block model and two renderers, one ascx and one cshtml. Off course depending of the complexity of the partial view, you’ll may add a Controller with a ViewModel. If you have a site with Webforms, and want to convert the site to MVC, this pattern helps the editor to reuse the blocks on their new MVC views. 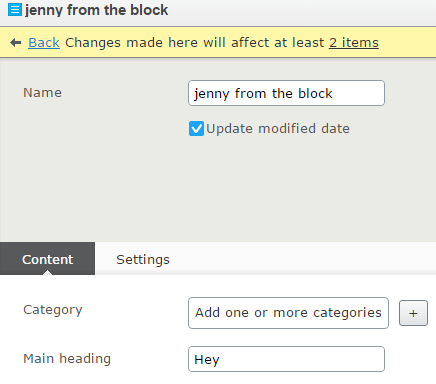 TIP 1. if you need different Attributes on the block models, you may just make a new one and inherit from the MVC Model.